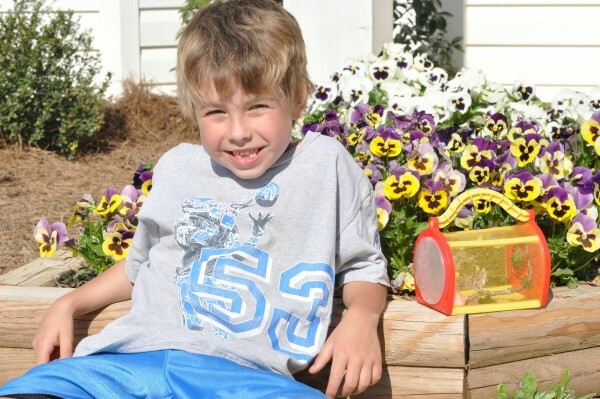 Finding myself in the chaos of raising the 4 J's! I’m just not that kind of mom . . . I try to be. You know, the kind of mom who can do little science experiments, grow things, teach her children about the circle of life. But I’m just really not good at it. At all! 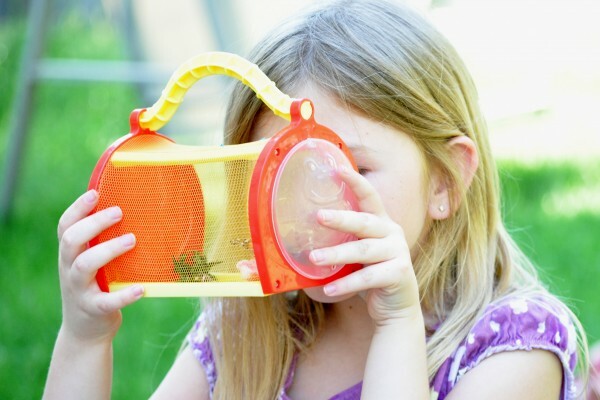 My latest attempt (catastrophe) at teaching my children began when Nana showed up at our house with little containers each holding a helpless caterpillar. It sounded very simple. 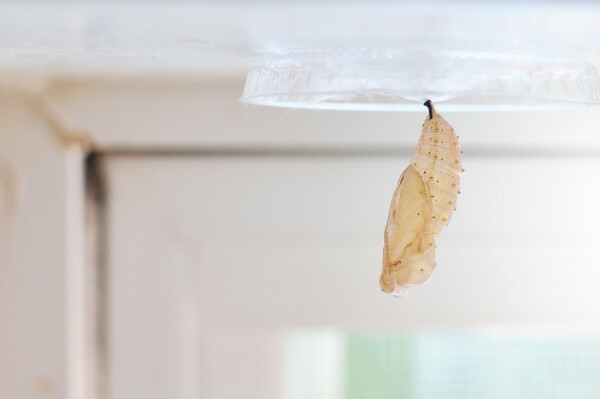 You just watch the caterpillar for a day or two and he/she will make a cocoon. 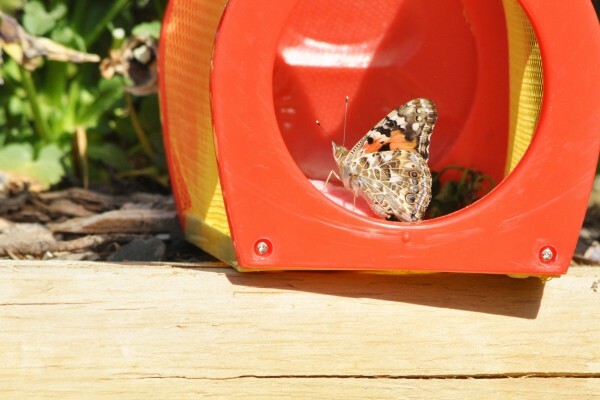 You then remove the lid from the container and carefully place it in some type of cage and wait approx 7 days for the beautiful butterfly to emerge. You then wait about 48 hrs for the wings to be mature and then you release the butterfly. Easy, right? It started well. We had “Pepper” in one container and “Hot Dog” in the other. Both sitting in the kitchen window sill. A day or so passed and I noticed that both had moved up to the lid, a good sign. 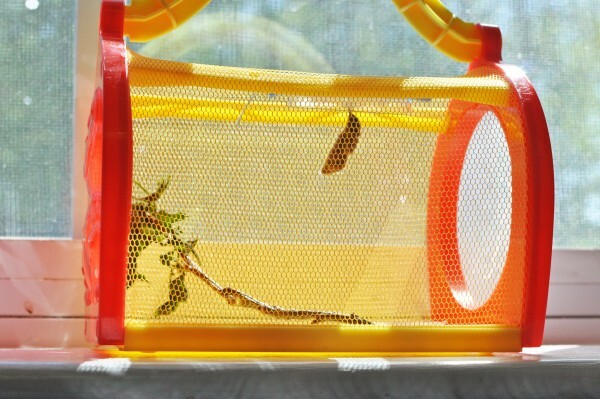 Within another 24 hrs two perfectly formed cocoons were hanging from the lids, right on schedule. Piece of cake! Now I just had to remove the lids and somehow secure them to the top of the bug habitat that I had previously bought for my kids. Thankfully I did not allow my kids to be witness to this horrible transfer. So there Nana and I were. In my kitchen with two bug habitats ready and two small containers of cocooned caterpillars. You know, you really shouldn’t mess with nature. 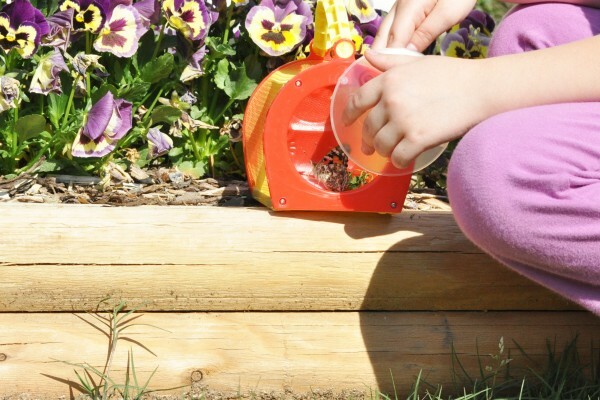 These bug habitats didn’t really have any way to attach the lids to the top but I had a plan. See, once I removed the lid I thought I should just be able to tape it to the top net. Except I didn’t have any good tape, but I DID have a roll of painters tape (I just repainted the playroom). That should work fine. I opened the first lid and very carefully, held it up as I rigged up some type of double sided tape thing and carefully (with shaking hands) stuck him in his new bug habitat home. Whew, one down one to go. I removed the second, except there was a problem!! His silk strands were stuck to the side of the container and when I removed the lid his cocoon became loose from the lid! I started to panic. I mean a cocoon won’t work if it’s not hanging upside down, will it?? I carefully lifted the lid and had to “surgically” cut each silk strand loose from the lid. It was rough and the result did not give me much hope. The cocoon was barely attached to the lid. Any movement and it would have broken loose. And then . . . came the movement. I DROPPED the lid!!! Seriously. I dropped the lid with the cocoon barely attached. All the way to the floor. I screamed and dove to pick it up. My heart rate was elevated and breathing was shallow. I was killing an innocent caterpillar or butterfly or whatever it was it this moment. My hands were shaking as I stared at what I was convinced I had just killed. This poor cocoon. I took a deep breath. Pull it together Mom. Everyone is counting on you!! Especially this tiny life in the cocoon. So, having no other real options, I reach for the super glue. I HAD to reattach the silk strands that were holding the cocoon to the lid of the plastic container so that I could secure it to the top of the bug habitat. Just as I had done with the other cocoon. So I did it. I super glued the silk strands to the lid. Nana was helping and saying that the fumes were going to kill the butterfly. But what choice did I have??? If I didn’t do it he was going to die, and if I did do it he might die. And if he died I was going to have to face my kids and tell them I killed their butterfly!!!! What choice did I have???!!!??? So I got the silk strands secure with the super glue and managed to pull my finger free from the super glue without pulling the silk strands back down. And then while rigging up the same double sided tape thing the unimaginable happened, again. I dropped the cocoon!! AGAIN!!! I shrieked and again dove to the floor to rescue the poor cocoon. What was wrong with me? Why couldn’t I manage to hold this cocoon in one hand while building a tape apparatus with the other? This was all going so wrong and the butterflies were going to die and it was going to be my fault. Why was I even given this responsibility? I mean I already have to take care of 4 humans everyday. Did I really need to add a couple of helpless cocoons to that? The next 2 minutes are a blur. 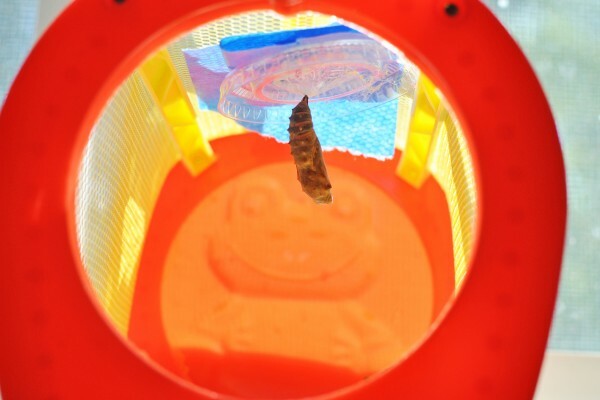 Somewhere in the midst of shaking hands and shallow breathes I managed to get the cocoon in his super glued lid taped to the top of his bug habitat. I was spent. And now the waiting period begins. Approx 1 week from the time they cocoon a beautiful butterfly should emerge. And my kids were counting on it. Fast forward about 6 days. I come downstairs that morning and as I am fixing the babies cups I look at one of the habitats in the window sill. The cocoon is empty! And there is a beautiful butterfly in the habitat! Success!!!! I was so happy! Until I realized that the new helpless butterfly was stuck. TO THE TAPE!!!! 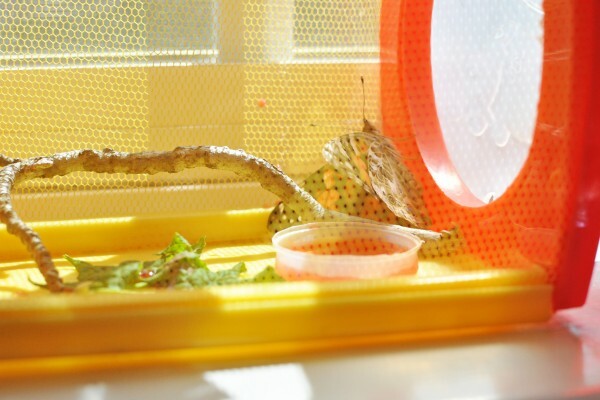 The painters tape I had used to secure the cocoon to the top of the habitat had become a trap! This new baby butterfly and her tiny delicate legs were STUCK to the tape. I was in panic mode. Strange thoughts crossed my mind. 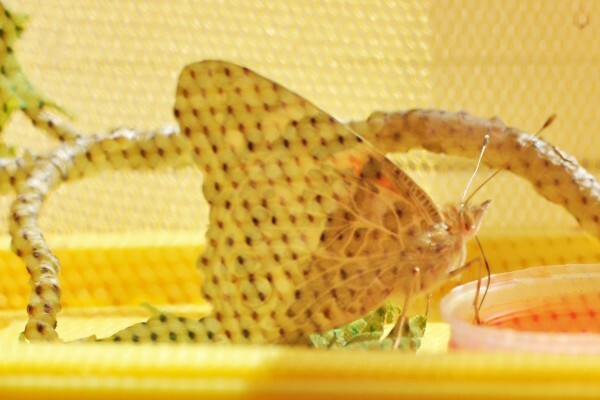 Can a butterfly live without legs? If I were to reach in and cut off the tips of her leg would they regenerate? Maybe I can just release the whole thing, butterfly and tape? I couldn’t believe this!! I was killing a butterfly. Thank goodness the kids were at school and didn’t have to see this. I was distraught. So I did the only thing I could do. I took the babies and went to Target. No need to hang around and watch the devastation I had caused. When I returned butterfly #2 had emerged!! This was a huge relief because this was the super glue butterfly! And she was NOT stuck to any tape!! Yay! I had not killed this butterfly. I moved over to inspect the poor stuck butterfly and guess what? Somehow the butterfly had freed itself from the tape! I had two perfectly healthy butterflies! What a relief! The next 48 hrs I “misted” their wings. I place tiny dishes of premixed nectar in their habitats. I stared intently as they stretched and shook their wings. Before I knew it, it was time to release them! The kids were thrilled. 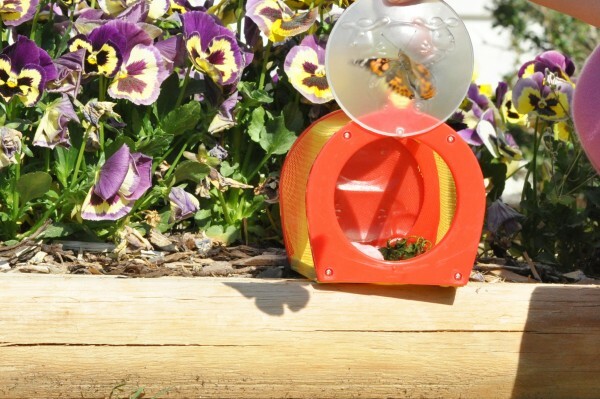 Their butterflies had hatched and they were ready to release them. I was outside with the camera, of course. 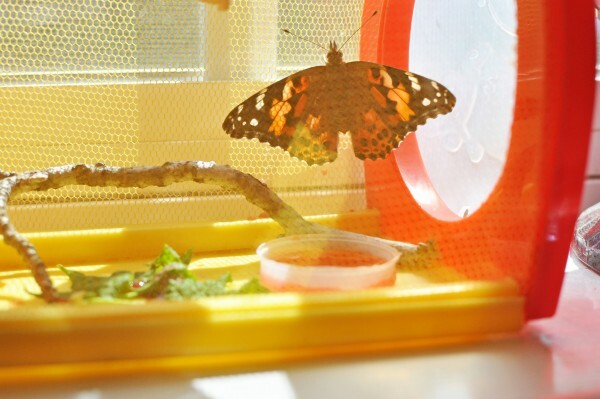 J1 opened the door to Hot Dog’s habitat and the butterfly flew away before I could even take a pic. J2 took her time (at my prompting) and I got a few pics before “Pepper’ flew away. It was bittersweet. Bittersweet, and a MIRACLE!!! I can’t believe those things survived!! I have to say it again. I’m just not that kind of mom! I can’t do the cool experiments. I don’t grow things. I can barely keep things alive. Seriously, I had to super glue a cocoon in place and rig up some sort of tape thing that then trapped a poor innocent life??? Who does that?? I know moms who are super cool and who can do these kinds of things. 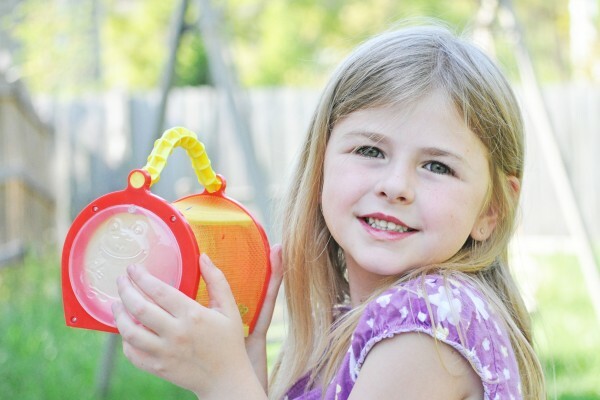 They always have some cool activity planned or some great learning experience lined up. Not me. I really just want to go about potty training, and laundry and desperately trying to get in enough fruit and veggie servings every day. I can’t raise caterpillars to be butterflies!! Except somehow, by the grace of God, I think I did! This entry was posted in The J's by admin. Bookmark the permalink. Yay!!! I will let Ms. Pierce see this post. She is the one that gave me the worms–I mean caterpillars. She can show her class that Pepper and Hot Dog survived–quite well, in fact. of variables, requiring a magnifying glass to read the fine print. target marketing and assorted processes to produce a business. You also need to choose a professional domain host. Any day with a butterfly is a good day. And when you add a flniedry dog, blue skies and a hibiscus to the mix you have magic. Thank you. shoes in Dallas TX to relieve foot pain.